California was experiencing a dramatic reduction in school libraries and librarians due to a budget crisis. 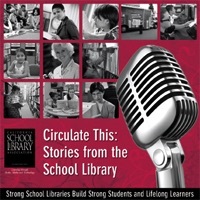 This audio essay was an attempt to encourage people in leadership positions to examine the benefits of school libraries and librarians before decreasing funding. Joe worked closely with CSLA past president Connie Williams and interviewed many educators, legislators, and students for this documentary.